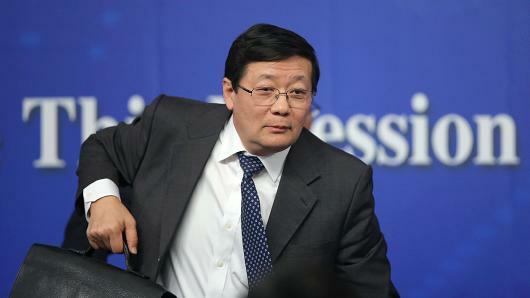 The sudden transfer of Lou Jiwei from his position as China’s Finance Minister to overseer of the country’s pension system comes as a complete surprise to many commentators—or it should be. It might well have been a shock to Lou himself, given that he’s only just approaching the semi-official retirement age of 65 (and current Central Bank governor Zhou Xiaochuan is already past that point) and he’s currently part of Premier Li Keqiang’s high-level trade and finance delegation to Europe. In fact, the front page of Monday’s edition of People’s Daily has Lou sitting behind Li, and the paper spends a lot of space on the various economic agreements signed between Beijing and various East European countries during this trip. Lou wasn’t airbrushed but he was certainly given an abrupt brushoff. There are those analysts who will no doubt insist that Lou’s removal is part of Xi consolidating his power—apparently a never-ending process because that’s what they tell us that Xi’s been doing whenever some high-level minister or provincial officials gets shunted aside. One can only wonder what Xi does, according to this school of thinking, when he’s not strengthening his political position or engaging in power struggles in the run-up to the 19th Party Congress. Perhaps trying to run China’s Communist party? Perchance even endeavouring to govern the country? Of course it’s possible that Lou asked to be replaced, and went on the previously scheduled high-level trip so as not to roil China’s markets, or its relations with its East European partners. Perhaps it’s simply a matter of health, overwork and strain for him. Maybe Lou jumped instead of being pushed. No one outside elite political circles can know for sure at this moment precisely what happened and why Lou was relieved of his portfolio—at the beginning of the week, not the end after markets are largely closed. What is known is that there has been more than a fair amount of tension between provincial and lower-level officials and Beijing about just how the former is supposed to generate local growth in a period of economic sluggishness. Property prices go up, land revenue increases--and Beijing reaches in to slap-down local governments for creating a real estate bubble. Provincial officials have been told for months to make the restructuring of local debt their policy priority—and suddenly the Ministry of Finance that Lou was then running announces that the central government would not be liable for debts incurred by special financing vehicles set up by local authorities to do just that. None of that created a lot of goodwill between Beijing and its local brethren. 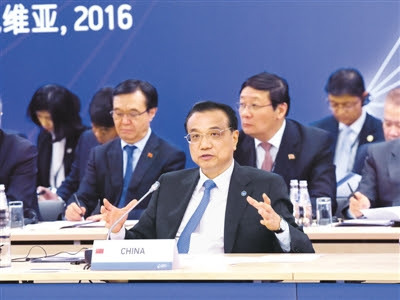 Nor was Lou helped by Premier Li’s agenda--streamlining administration, investing in innovation instead of infrastructure, and reforming China’s financial and fiscal sector. That strategy is popular among China’s technocrats and scholars (and consequently the international visitors who swing by the country to seek the odd insight by speaking only with them and the expat crowd) and probably makes good sense for China in the long-term. But that approach wins no plaudits from local politicians here, who deal with the daily, and dislike being told how to run their backyard—especially when what they say they see from Beijing are instructions to focus on the economy one week, and are then told to emphasize ideology the following one—and perhaps the one after that. Some local officials, especially in major cities, were already relieved that Xi was designated “core”, because they wanted some consistency and clarity from the capitol about what they’re supposed to be doing. 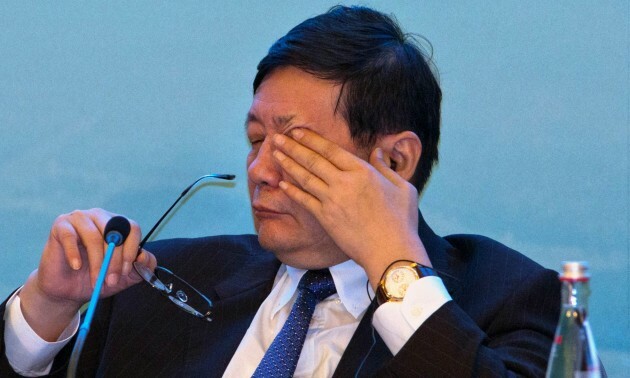 Financial managers and stock traders may be shaken by Lou’s departure, but many China’s lower-level officials will sleep well this evening knowing that Lou Jiwei won’t be around to curtail them.